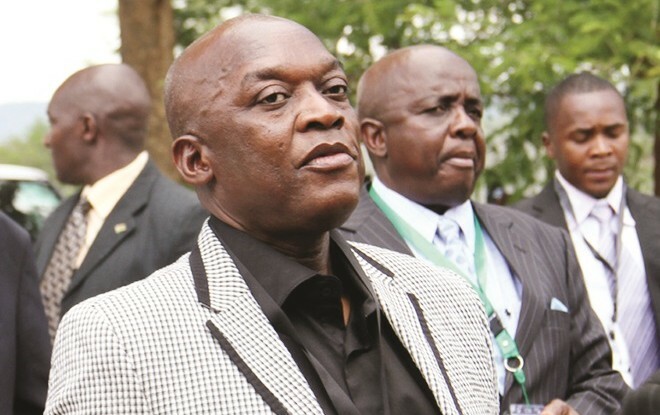 Former Zimbabwe Republic Police (ZRP) Commissioner-General Dr Augustine Chihuri and his mistress, Ms Sithulisiwe Mthimkhulu, seem to have failed to negotiate for an out-of-court maintenance settlement as the former recently filed notice of opposition papers at the Bulawayo Magistrates' Court. Ms Mthimkhulu is demanding a $240 000 lump sum payment for the upkeep of the couple's love child who is in Grade Four. However, Dr Chihuri is offering $75 per month, which he says they should share equally with Ms Mthimkhulu. In papers before the court, Dr Chihuri, who is the respondent in this matter, through his lawyer Mr Arthur Marara of Mutamangira and Associates, argued that the matter was supposed to be heard at the Harare Magistrates' Court. "It is respectfully submitted that this honourable court has no territorial jurisdiction to preside over the matter. The respondent is based in Harare while the complaint has been lodged in Bulawayo. The applicant is basing her case on a purported agreement that was prepared and signed in Harare and clearly the Harare Magistrates' Court has jurisdiction over the matter," he said. Dr Chihuri suggested that maintenance is the responsibility of both parents and that it should be a shared responsibility. "Monthly maintenance at the sum of $75 to be shared equally between parties," he said. In the papers, Dr Chihuri highlights that school fees and school uniforms for the child is to be shared equally between parties. Dr Chihuri states that his monthly pension is $2 668 and four children depend on him. "Imagine every one of these children mounting a claim for $240 000. The applicant's child is like any other child and clearly cannot enjoy any preferential treatment to the extent of being used to claim $240 000, which money the respondent does not even have," he said. Dr Chihuri said the court was obliged to look at the number of people who are to be sup- ported. Last month both parties agreed for an out-of-court settle- ment. "By consent, parties agreed to meet and do an out-of-court settlement and report back on May 14," read the court papers. The matter will be heard on May 14 before Bulawayo magistrate Ms Sharon Rosemani.